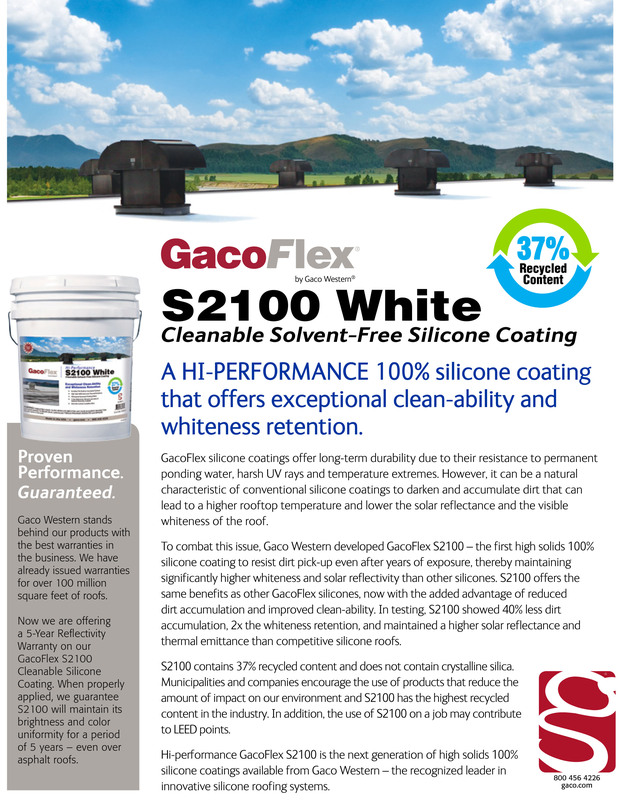 Alltops, Inc. is a certified installer of GacoFlex silicone roof coating systems that come with an unprecedented 50 year warranty. 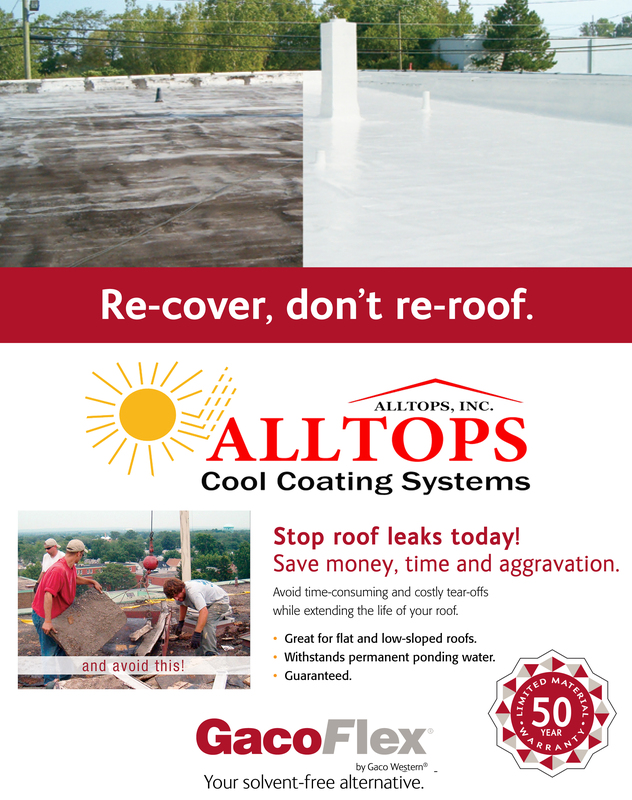 Alltops, Inc. has a reputation for only using the best quality roofing materials along with their impeccable installations and customer service. 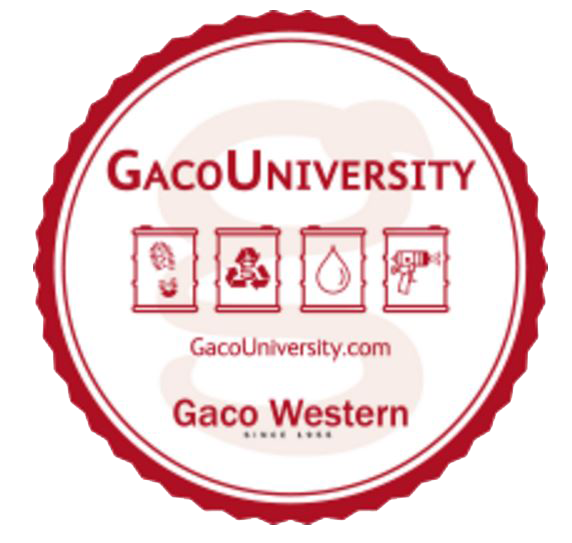 Now, Alltops Cool Coating Systems is proud to offer GacoFlex 100% cool roof systems from Gaco Western to customers with flat roofs all over Southern California. 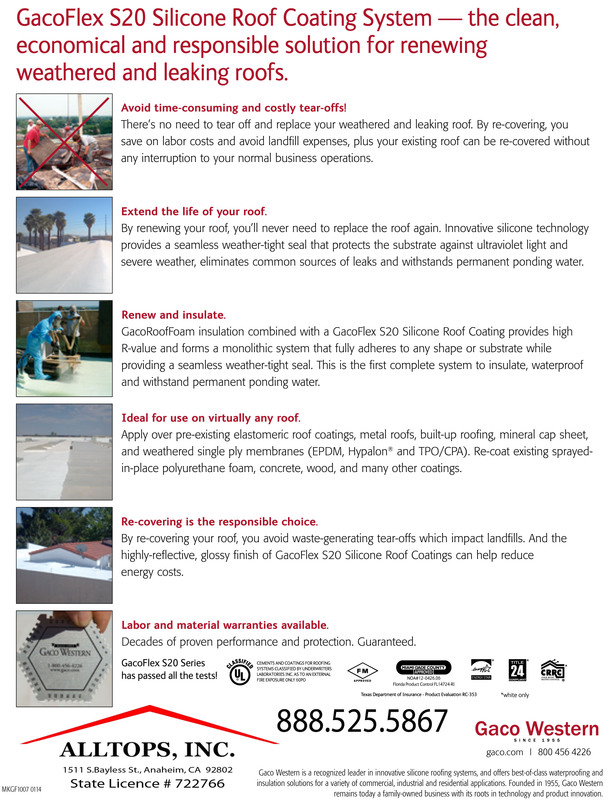 When the time comes to take care of your flat roof, Re-Cover, don't replace.